Your appointments will vary in time. The appointment to get your braces on usually takes from 60-90 minutes. You'll then see us at regular intervals 4 - 6 weeks apart for an adjustment, which usually takes 10-20 minutes. If an appointment will be longer we will try to inform you of this at the time of scheduling your next appointment. Patients are seen by appointment only. We make every effort to be on time for you, and ask that you extend the same courtesy to us. If for some reason you cannot keep your appointment, please contact our office immediately. If it is after hours, please leave your name and number and a brief message on our voice mail and we will return your call the next morning. Try to cancel only if it is an emergency. Appointments are scheduled for you on the 4 - 6 week interval and therefore rescheduling can become difficult. However, we will always do our best to accommodate you. Braces may be on between 6 months to 30 months, or longer depending on the age of the patient, the severity of the problem and the degree of movement. During this time, you will need to keep appointments, follow instructions, as well as practice good oral hygiene and proper nutrition. Also continue to visit your dentist regularly. 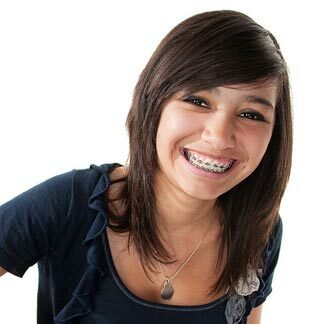 Once your braces are removed, retainers are utilized to hold your teeth in their new positions until your bone, gums, and muscles adapt to the new teeth positions. Before any orthodontic treatment, your family dentist should make certain that all cavities have been treated and the health of your gums and underlying bone are free of periodontal disease. Your family dentist should also schedule cleaning and cavity checkup visits during your orthodontic care. 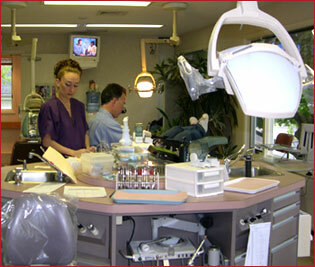 It is important to keep your regular visits with your family dentist. We are an addition to your family dentist, not a replacement. Please contact our office if you have any questions. A healthy diet means a healthy body, healthy teeth, and a better result for your orthodontia. Please do not eat hard foods: nuts, ice, crisp taco shells, whole apples and carrots (cut them into pieces first), hard French bread crust and rolls, spareribs, and unpopped popcorn kernals. These foods risk breaking brackets and wires. Also beware of nail biting and pen or pencil chewing habits, since these can also damage your braces. Do not eat sticky foods: taffy, caramels, bubble gum, sticky candy of any sort. A small piece of sugarless gum occasionally is acceptable. Use common sense about most foods. Remember that if you do break off a bracket it will extend your treatment time. As long as there is a loose bracket the tooth will not move. Please download and read the following literature on eating with orthodontic appliances. Gummy Bears - Although these are not hard, they are sticky and will cause bands to loosen up and pull separators out. Chewing Cracked Ice - A big no-no! This can crack the cement, which bonds the braces to the teeth. Hard Pizza Crust and Hard Bread Crust-It is the crust itself and not the pie. Just avoid the hard edges. Popcorn - If the little shells get between your braces and your gums you are in for an infection. They don't come out on their own so best to stay away from it. Hard Candies - Anything that is hard will cause damage. Sticky Candies - Although these are not hard, they are sticky and will cause bands to loosen up and pull separators out. Beef Jerky - Not only is it bad for your teeth and jaws, it will break brackets too. Crunchy Chips - If it makes a crunch when you bite down, it is best to stay away from these foods. If you forget to insert your elastics one day, do not double up the next day, just follow your regular instructions. You must wear your appliance at all times, even while you are asleep. 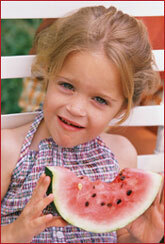 It may be removed while eating, swimming, or playing vigorous sports activities. Your new appliance may make your teeth sore for a day or two, especially after an adjustment. If you have a sore spot on you gums, call our office so that we can adjust the appliance. Clean your appliance by brushing it daily with toothpaste. Denture cleaner (e.g., Efferdent, Fixodent or Polident) can also be used for a more thorough cleaning. If you are wearing a bonded wire retainer behind your front teeth, be extra careful to clean the wire and the area around it. Flossing should be done every day. Never wrap your appliance in a paper napkin or tissue and set it down on the table. You or someone else may accidentally throw it away. Do not put it in your pocket when playing or you may break or lose it. Whenever it is not in your mouth, it should be placed in its plastic appliance case. Keep your appliance away from dogs or cats, as they love to chew on them. Avoid storing them near any source of heat. Do not boil your retainer to sterilize it. If needed, bring it to the office and we will be happy to disinfect it for you. Please follow these instructions and keep your appointments.